The number-one risk factor for death in the world—according to the Global Burden of Disease Study, the most comprehensive and systematic analysis of the causes of death ever undertaken—is high blood pressure. Also known as hypertension, high blood pressure reportedly lays waste to nine million people worldwide every year. It kills so many people because it may contribute to deaths from a variety of causes, including aneurysms, heart attacks, heart failure, kidney failure, and stroke. Increased blood pressure may put a strain on the heart and damage the sensitive blood vessels in our eyes and kidneys, cause bleeding in the brain, and even lead certain arteries to balloon and rupture. The fact that hypertension is able to damage so many organ systems and increase the risk of heart disease and stroke, two of our leading killers, explains why it is the number-one killer risk factor worldwide. 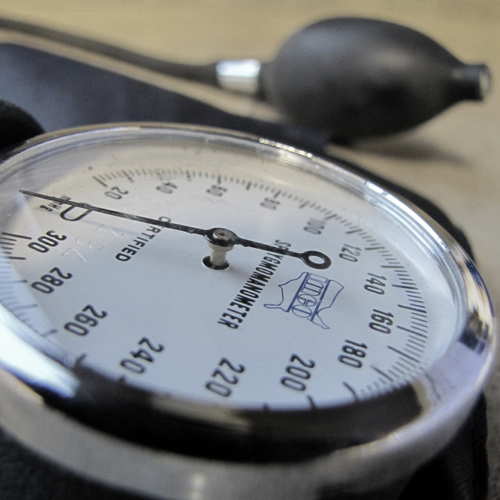 As we age, our blood pressure tends to get higher and higher. Is high blood pressure, like wrinkles or gray hair, just an inevitable consequence of aging? We’ve known for nearly a century that this isn’t true, based on studies of population studies in areas like rural China where average blood pressures remained around the ideal of 110/70 their entire lives. Their plant-based diets may have played a factor given that the only population in the Western world that enjoys such low average pressures may be those eating strictly plant-based. So high blood pressure may be a choice: We can continue eating the artery-bursting Western diet, or we can choose to take off the pressure by centering our diet around unprocessed (no added sodium) plant foods. Eliminating humanity’s primary risk factor for death may be simple. No drugs, no scalpels. Just forks. Image Credit: jasleen_kaur / Flickr. This image has been modified. The return on investment for educating employees about healthy eating and living. A half-teaspoon a day of brewer’s yeast is put to the test in a randomized double-blind controlled clinical trial.